It’s fair to say Mattel hasn’t had a good week. And it’s all because of Barbie: I Can Be A Computer Engineer, a book that was released in 2010 but which has recently caused controversy thanks to its ridiculous storyline and sexist overtones. Thankfully, the Internet reacted magnificently to this issue. 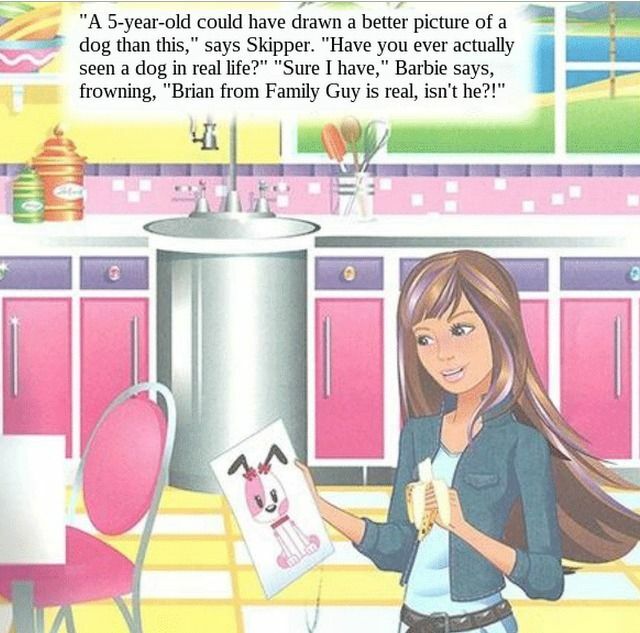 First it called Mattel out on this monumentally dumb book. 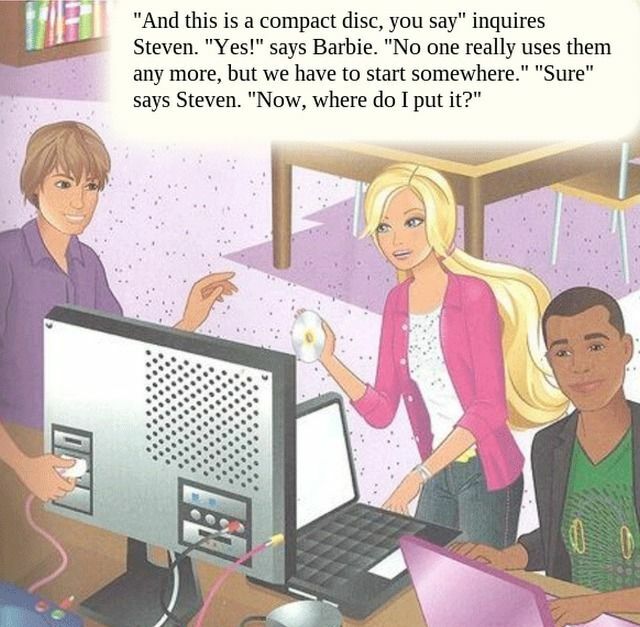 Then, it offered its own versions of the story using a dedicated remixing tool which lets anybody change the text and tone of Barbie: I Can Be A Computer Engineer. 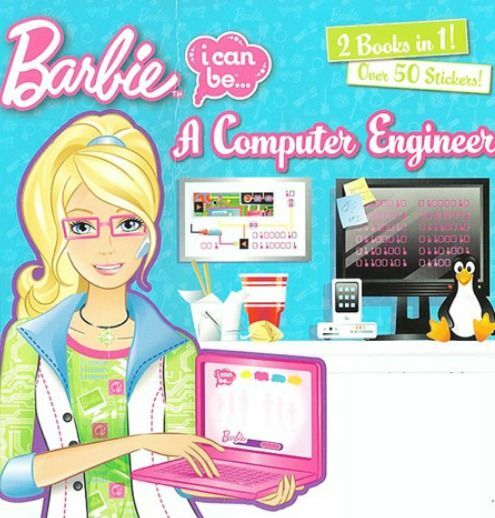 When Mattel published Barbie: I Can Be A Computer Engineer, they probably thought the Internet would embrace it. After all, here is a book teaching impressionable young girls that they could, if they so desire, enjoy a career as a computer engineer. Well, kinda. The idea was solid enough, but the reality was far from ideal. For some bizarre reason, Barbie: I Can Be A Computer Engineer shows Barbie being anything but a computer engineer. She does design a game, but she needs help doing the actual programming needed to turn drawings of a robot dog into a finished product. Barbie then gets a virus on her computer, and immediately infects her sister’s computer too by plugging in her plague-ridden USB flash drive. Which is obviously a mistake any qualified computer engineer could make. Or perhaps not. Barbie then asks two male friends for help fixing her computer problems. Which has led some people to complain about the book’s inherent misogyny. Barbie could quite easily have asked two female friends for help, but sadly, she didn’t. Whether or not this aspect of Barbie: I Can Be A Computer Engineer is due to sexism on the part of the writer, the story itself is a complete shambles. Barbie is shown to be an airhead who shouldn’t be left alone near a computer, let alone be eyeing a career as a computer engineer. This ignorant, and possibly misogynistic, book grabbed the attention of Pamela Ribon, a writer for Walt Disney Animation Studios. She picked the story apart one storyboard at a time, and the story quickly went viral. Mattel has since apologized for the tone of this book and pulled it from sale. But not before The Internet had some fun with it. These are some of the best tweets containing the #FeministHackerBarbie hashtag. They all take one page from Barbie: I Can Be A Computer Engineer and change the wording to make it more entertaining and less sexist. The original idea of that hashtag was to remove the misogyny, thereby transforming Barbie: I Can Be A Computer Engineer into an uplifting story for girls who want to be geeks. But not everyone chose to go that way. Feminist Hacker Barbie is a remix tool for Barbie: I Can Be A Computer Engineer as created by Kathleen Tuite. When you click ‘Fix a page in Barbie’s book’ you’ll be presented with all the pages from the book along with the ability to change the text to whatever you see fit. You could try to “fix” the whole book by changing each page so that it’s no longer sexist. You could change one page so that Barbie becomes a potty-mouthed activist railing against something most of us find innocuous. Or you could do something in between the two. Either way, it’s as simple as rewriting the text and changing the font size so that your words still fit neatly inside the dialog box. Then view your image and save it ready for sharing with the world via your social networking site of choice. You now know the full story of Barbie: I Can Be A Computer Engineer, have seen how the Internet reacted to it, and been directed to a website allowing anyone to remix the book to fit their own agenda. So all that’s left to do is show us your remixes. If that’s too much to ask, perhaps because, like Barbie herself, you’re incapable of accomplishing the most basic tasks on a computer, then use the comments section below to instead tell us what you think of the whole sorry saga. We’re listening.